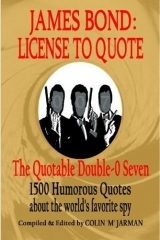 James Bond: License To Quote: The Quotable Double-0 Seven was recently published on February 20th. The book contains over 1500 quotations about James Bond and his world, though not actually from Bond himself in the films or the books. It was compiled and written by Colin M Jarman. You can learn more about the book by checking out its website or thru Twitter. 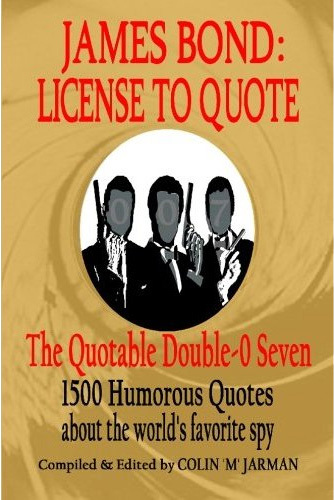 Thanks for the post about my new James Bond book: License To Quote.